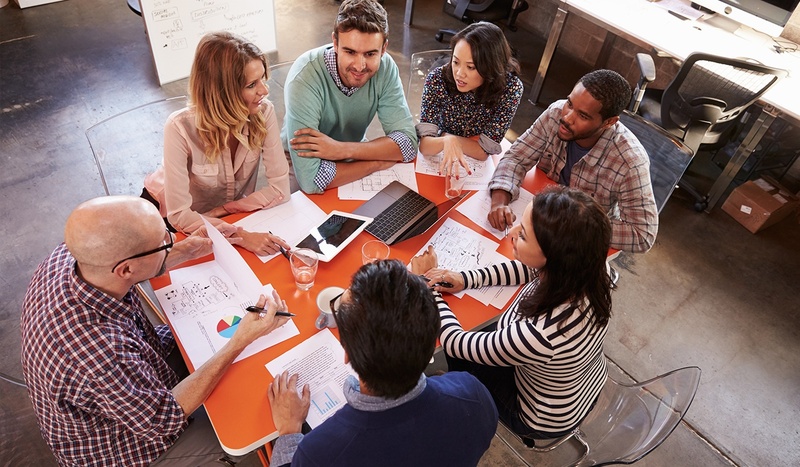 Intranet collaboration is a commonly used but misunderstood phrase. It's all about your intranet strategy and ensuring that your intranet reflects the nature and culture of your business. This blog explores how and why you should encourage collaborative working through your intranet. To find out how our Intranet software can help, book a demo with our intranet experts. In today’s business world, many organisations have offices all over the country and the globe. With the rise of agile and remote working, it’s more important than ever for your company intranet to connect all of your colleagues and provide a secure place where they can work together on projects. In order for collaborative working to begin, colleagues need to be able to search and find the individuals they want to collaborate with. An effective people search with fully completed profile information alleviates end user frustrations and makes it quick to find others and begin working together. If colleagues are to collaborate easily from any device, location or time zone it’s essential that they can get together through your intranet software. Creating forums, project areas where they can share ideas, is a collaborative must. In our modern world, quick ways to 'like', comment and share on social media is taken for granted. Social habits are now reflected in intranet software functionality and are important for helping colleagues to collaborate. As busy professionals, a simple way to 'like' or comment makes our lives that bit easier. Different employees will have different levels of knowledge about your intranet software. You need to ensure that, if something is stopping an individual from completing an action, your help functionality is able to assist them quickly and thoroughly. Collaboration needs to be nurtured not forced. Forcing colleagues to use your intranet software and telling them they must do X, Y and Z will discourage collaborative working. Instead, creating a collaborative working area, spending time with colleagues suggesting new ways of working and allowing them to discover the benefits the intranet software themselves will have a much greater impact. I hope you have found this blog useful and you can incorporate these ideas to ensure your intranet enables collaborative working. If you would like to see how our intranet software can support your intranet collaboration we are always happy to discuss our solution. Just a book a demo with our intranet experts or, for more general information, attend a showcase event near you.